Another five inches of snow fell today. 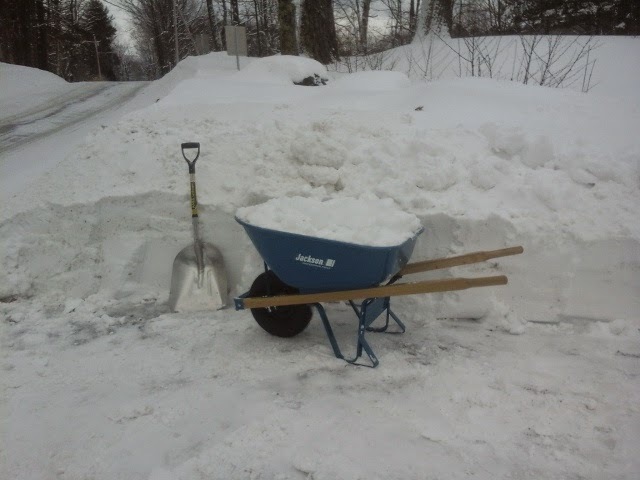 SO I got out the shovels and the snowblower and got to work. However we are running out of room. 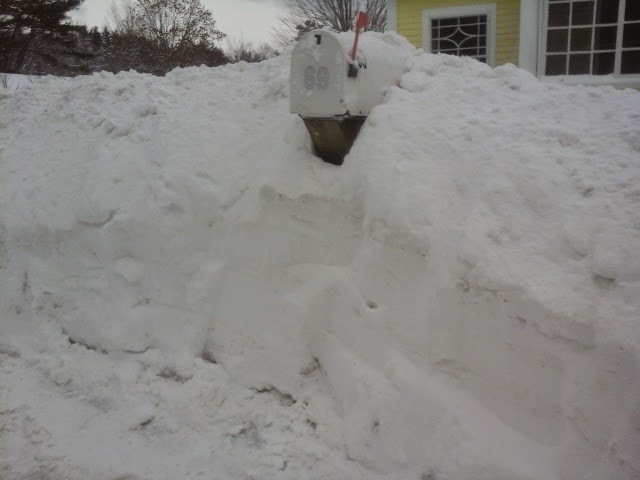 The snowbanks have reached the point where the snowblower cant blow the snow over them anymore. And trying to toss snow up over banks that are as tall as I am, well, thats a bit difficult too. So this means that the next storm, which is forecast for the weekend, we will have to crawl up on the snowbanks amd shovel them back before we clear anymore snow. I took some nice video of the chickens this morning, but having download problems on the old ancient computer. Putting the eggs I gather in my jacket pocket, not a good idea. Especially the jacket I wear to clear the snow. Weather: cold, and windy. Forecast to be 14 below zero tonight.